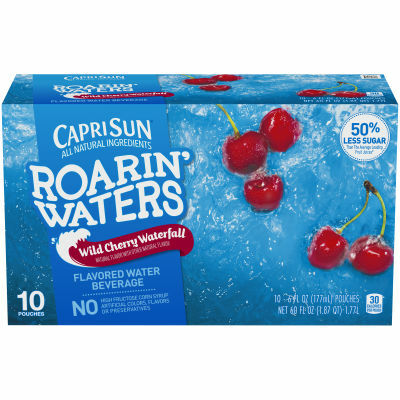 Take a walk on the wild side of hydration with Capri Sun Roarin' Waters Wild Cherry Flavored Water Beverage. No artificial colors, flavors or preservatives. Now with all natural ingredients, no artificial sweeteners and naturally sweetened with sugar and stevia leaf extract. Serving size 1 pouch (177mL).